Brewer Description: (from bottle) Emerging from the deepest shades of darkness, a rolling crescendo of flavors burst forth from this robust stout. 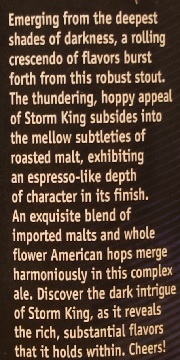 The thundering, hoppy appeal of Storm King subsides into the mellow subtleties of roasted malt, exhibiting an espresso-like depth of character in its finish. An exquisite blend of imported malts and whole flower American hops merge harmoniously in this complex ale. 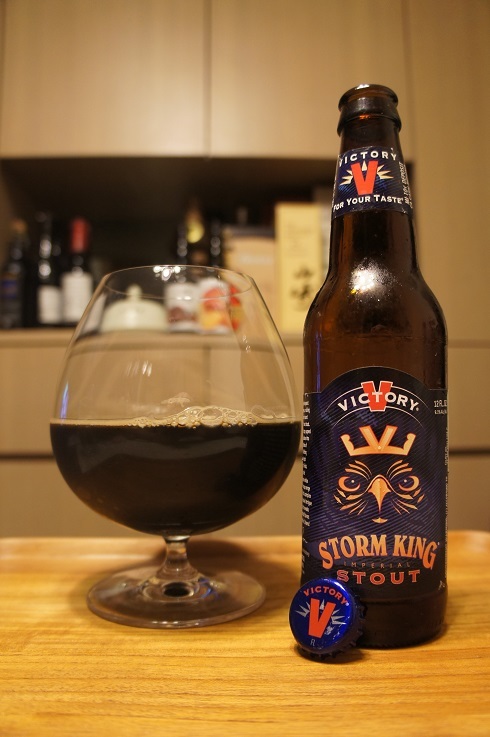 Discover the dark intrigue of Storm King, as it reveals the rich, substantial flavors that it holds within. Cheers! Intro: A 12 fl. oz. bottle with an enjoy by date of 27th January 2021. Poured into a snifter glass. Appearance: Dark dark brown to black in colour with a thin mocha head that dissipated fairly quickly and left some sparse lacing. Aroma: Piney hops, roasted malts, chocolate and coffee. Taste: Roasted malts, piney hops, chocolate, coffee, dark fruit, light herbal and a hint of liquorice. Mouthfeel: Creamy, medium bodied with soft carbonation. 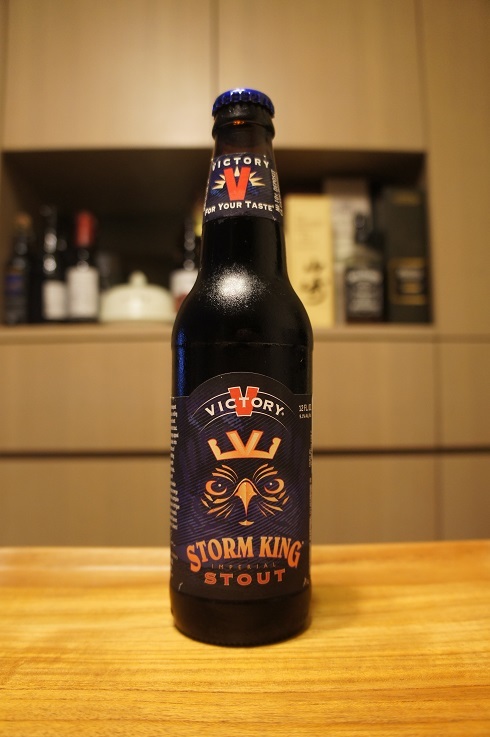 Overall: A nice Imperial Stout, although I’m not too fond of the liquorice and herbal mix on the finish.